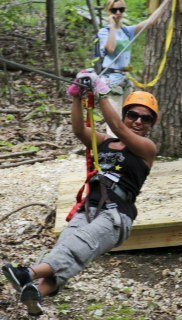 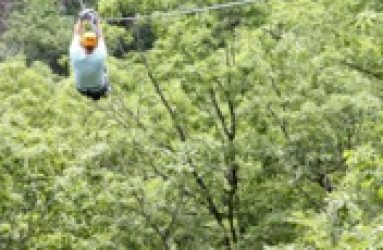 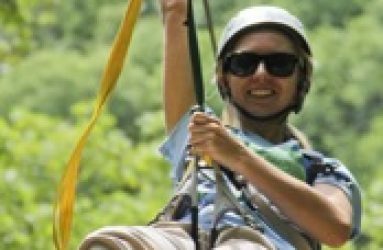 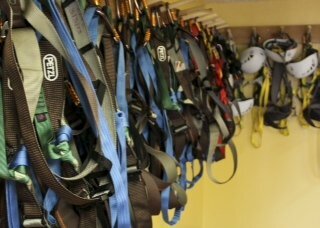 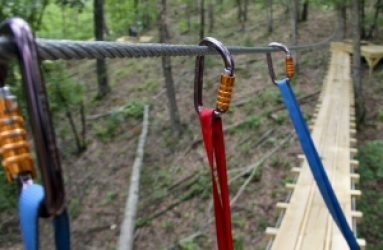 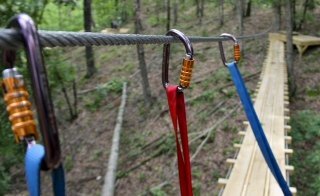 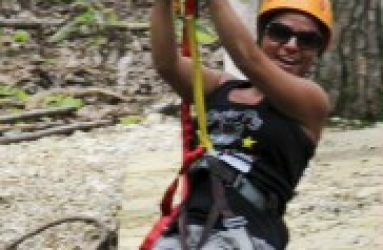 Experience the exhilarating thrill of a Zip Line Canopy Tour right in the heart of the beautiful, pristine Ozark Mountains at Eureka Springs, Arkansas. 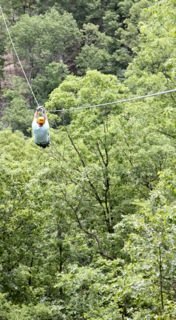 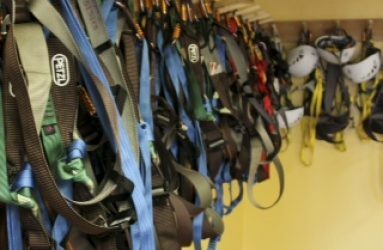 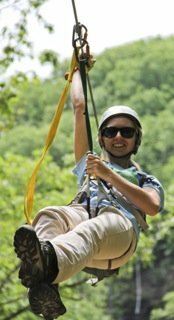 Soar through the air from up to 200+ feet high with cable lengths from up to 1800 feet long over vast gorgeous, beautiful Ozark hardwood trees and limestone cliffs. 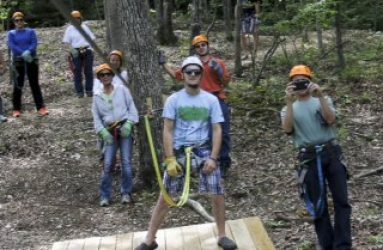 Our dense forest of hardwoods provide a wonderful setting for a nature filled experience guaranteed to satisfy thrill seekers from all walks of life.